"Embroidery is like sewing magic. Colored threads are transformed into wonderful works of art. As you observe the showcases, you will see art that is a symbol of history!" "Thanks for listening and have a wonderful time at the festival and remember ….GO JIANGSU!" The inspiring speech earned much applause, but another member of the Go Jiangsu series event, Lili Pouget, apparently enjoyed the experience even more thoroughly than Peter did. The French freelance journalist living in Suzhou stayed late to learn from the subsequent forums discussing the innovation of traditional Su embroidery, the combination of Nordic designs and embroidery elements, and the clash between Su embroidery and Swiss multiculturalism. "The designer showed many graphic designs for posters," Lili said, "their land art works and textile works are very powerful and colorful." The lady shared her insights on dinner upon returning to the hotel. 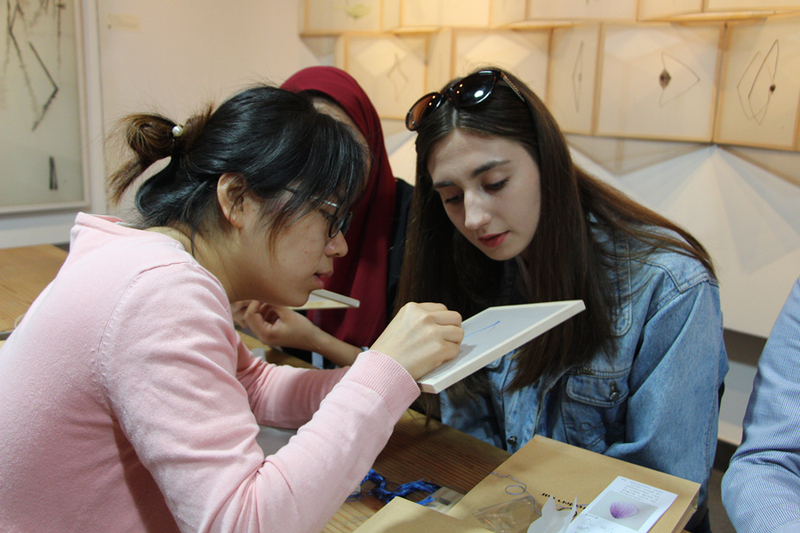 The group's anticipation of admiring the craftsmanship of traditional Su embroidery had peaked, as they were scheduled to visit Zhenhu Town, the famous 'embroidery cluster', the following day.